Stewart Mandell is a tax appeal attorney who focuses on appropriately reducing taxes through tax planning, tax appeals, tax incentive awards, and the passage of favorable state tax legislation. His efforts have saved taxpayers hundreds of millions of dollars. SBC Health Midwest, Inc v. Kentwood 500 Mich. 65; 894 N.W.2d 535 (2017); Michigan Supreme Court unanimously ruled that the statute involved made the taxpayer eligible for exemption notwithstanding that it was a for-profit corporation. Occidental Development LLC v. Waterford Twp. MTT No. 390705, January 14, 2013; for the 2010 and 2011 tax years, the Tax Tribunal accepted the taxpayer’s value contentions for an apartment complex with over 775 units. Detroit Edison Co. v. China Twp. ; 31-day Tax Tribunal hearing spanning several months of 2006 and 2007 involving property tax valuation of power plants; settlement included a $30 million refund. Wexford Medical Group v. Cadillac 474 Mich. 192; 713 N.W.2d 734 (2006); the Michigan Supreme Court unanimously ruled property is exempt, reversing the Court of Appeals. Service System Associates, Inc. v. Huntington Woods; unpublished opinion per curiam of the Michigan Court of Appeals issued December 6, 2005 (Docket Nos. 256649 and 256632), affirmed property tax exemption. Michigan State University v. Lansing; unpublished opinion per curiam of the Court of Appeals, issued February 15, 2005 (Docket No. 250813), property tax exemption sustained. Occidental Development, LLC v. Van Buren Township MTT, No. 292645 (March 4, 2004); Tax Tribunal granted summary disposition in property tax valuation appeal. Fifty-Nine Seventy-Three Corp. v. Detroit; unpublished opinion per curiam of the Court of Appeals, issued July 24, 1998 (Docket No. 202520); Court of Appeals affirmed Tax Tribunal valuation of commercial property. IBM v Dep't of Treasury 220 Mich. App. 83; 558 N.W.2d 456 (1996), lv. den. 456 Mich. 882; 570 N.W.2d 656 (1997); use tax assessment was defeated. General Funding Corp. v. Novi 7 MTT 835 (1994); aff'd by unpublished opinion per curiam of the Court of Appeals, decided November 17, 1995 (Docket No. 175008), Tax Tribunal and Court of Appeals invalidated personal property assessments. Grand Trunk Western Railroad Co v. Dep't of Treasury (consolidated with Chesapeake & Ohio Railroad Co v. Dep't of Treasury) 170 Mich. App. 384; 427 N.W.2d 580 (1988); single business tax assessment was invalidated. Lansing Dairy v. State of Michigan; Michigan Court of Claims granted taxpayer summary disposition in use tax case. Michigan Retailers Association v. United States 676 F. Supp. 151 (W.D. Mich. 1988); obtained summary disposition in federal tax case. 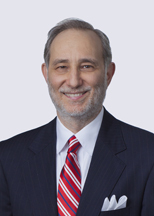 Stewart L. Mandell quoted in the Traverse City Record-Eagle article "More businesses contesting assessments"